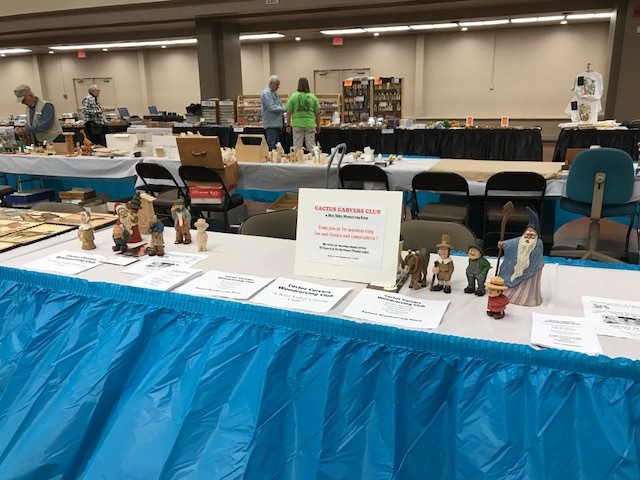 The Desert Woodcarving Show and Sale is a judged wood carving and wood sculpture including fine woodworking and carvings other than wood. 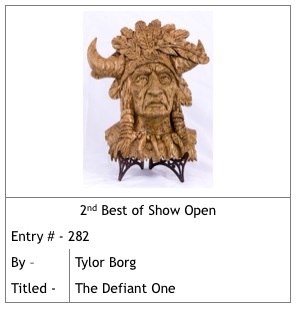 It is open to all participants and to the general public. 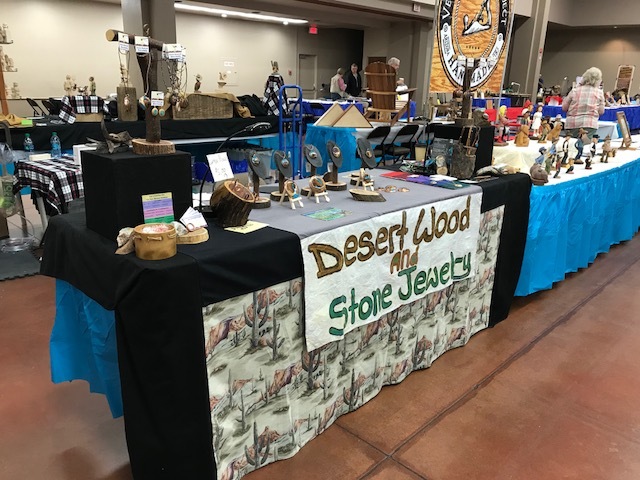 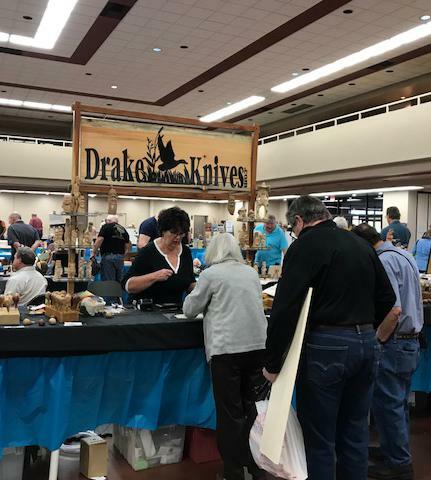 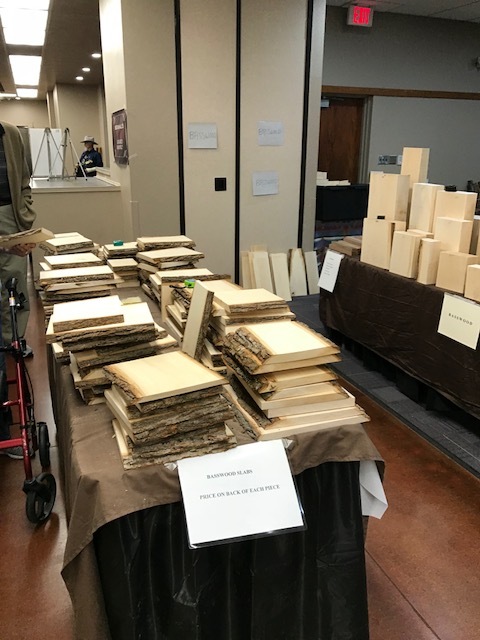 The 2019 Desert Woodcarving Show & Sale will be held on March 16 & 17 2019. 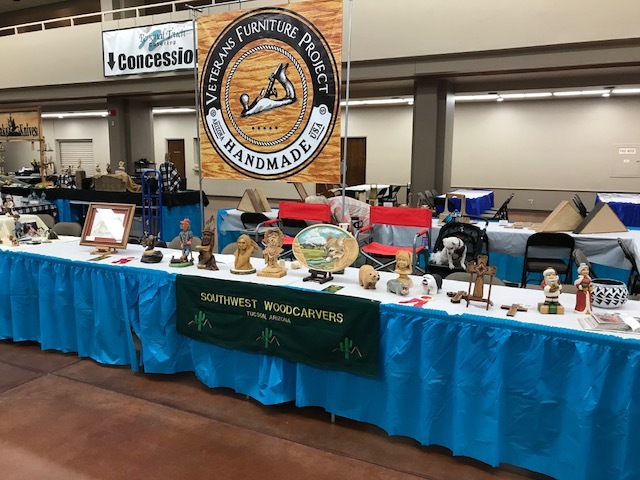 The Desert Woodcarving Show and Sale is a judged wood carving, wood sculpture fine woodworking and carvings other than wood competition. 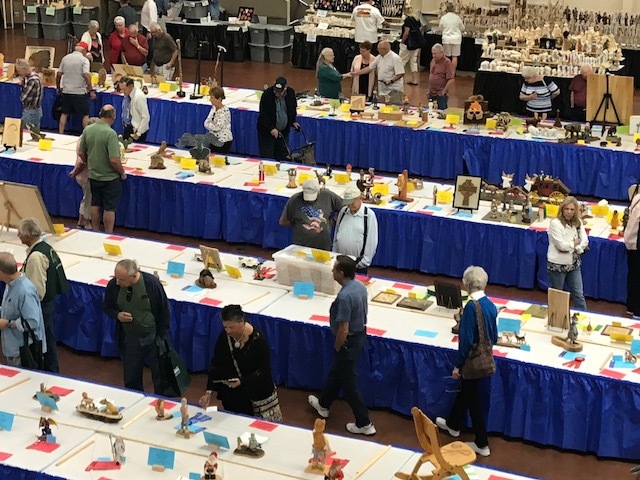 It is open to all levels of participation from beginners to professionals, as well as open to the general public. 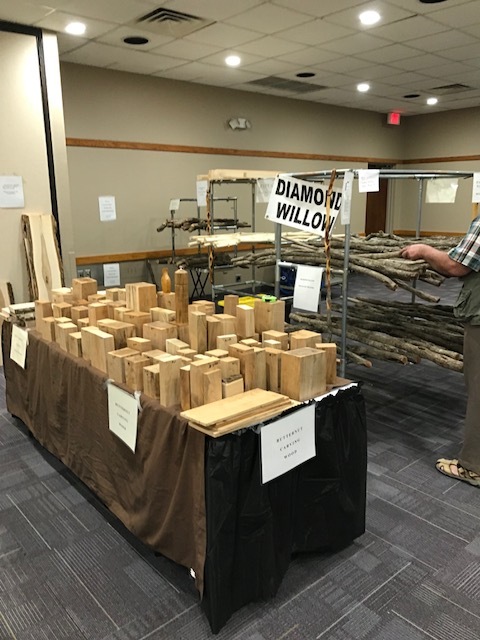 Many participants have their work for sale and we have a number of Vendors selling tools and carving supplies. 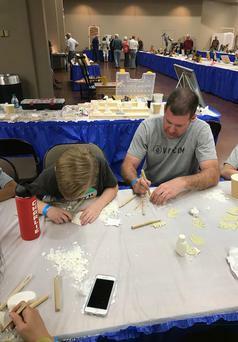 Adult admission Fee is $10 for the weekend, Parking is free. 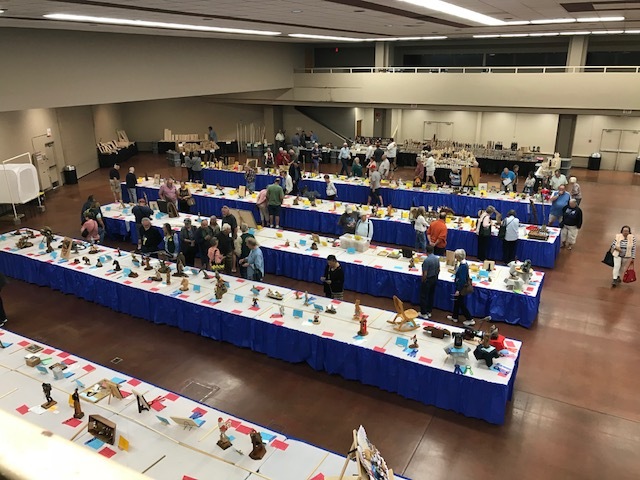 Thanks to the efforts of Dave Ester and his show committee, the 2017 Desert Woodcarving Show had over 320 entries. 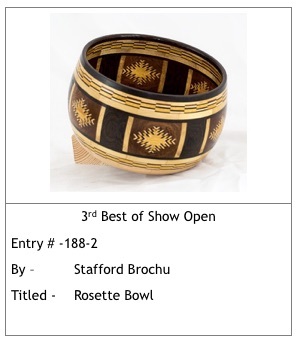 The Show Committee’s experiment with a silent auction was quite successful as over 50% of the offerings were sold. 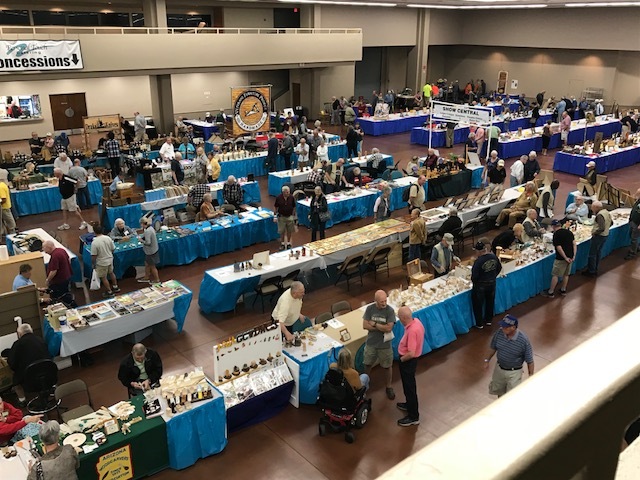 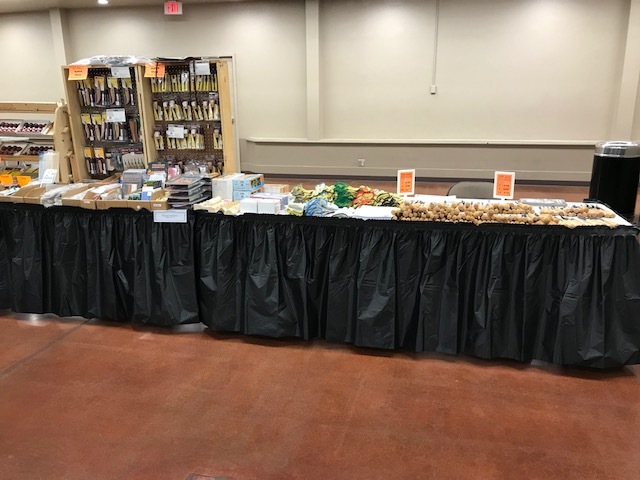 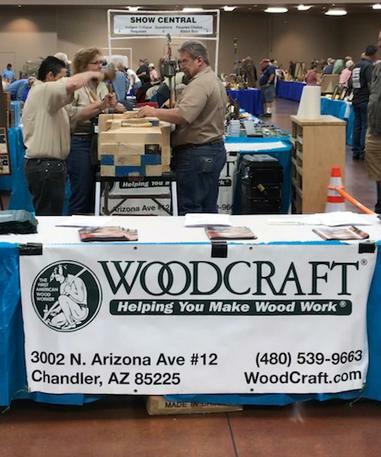 As in past years we also had a good number of display, exhibitor and vendor tables during the event held in Mesa, Arizona. 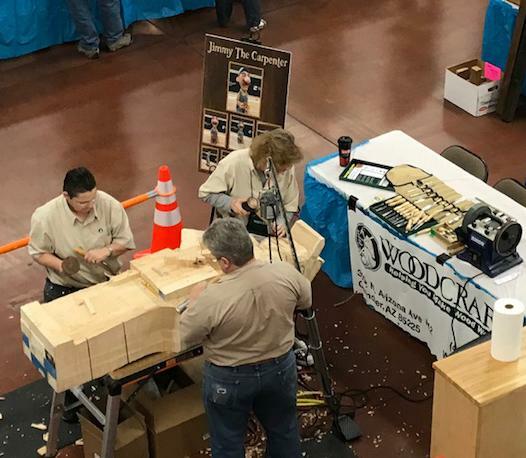 The inclusion of the Fine Woodworking competition added additional interest for the attendees. 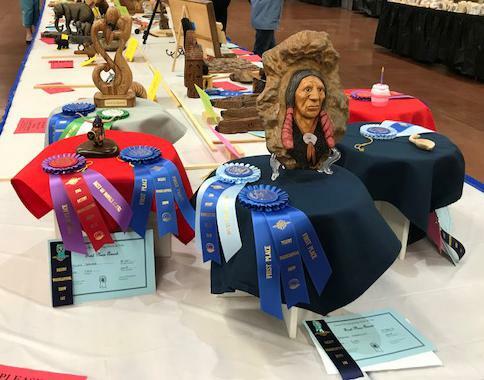 Over 1,400 people enjoyed viewing the competition carvings and the silent auction offerings. 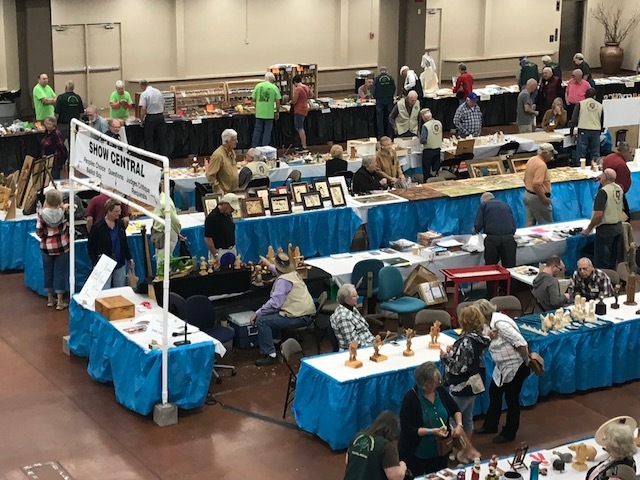 Once again the show demonstrations were held in a separate area. 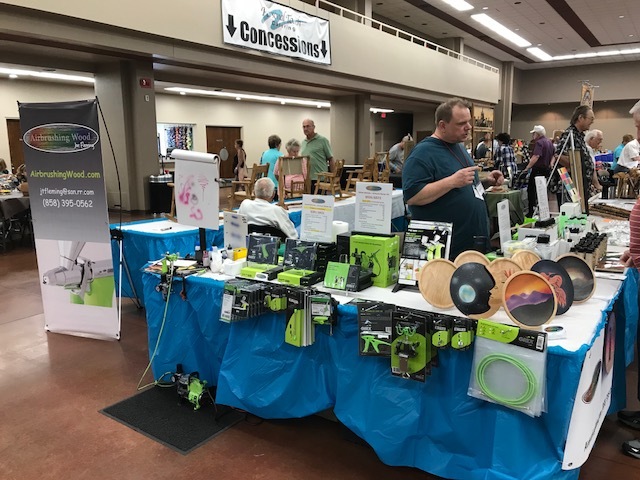 The video screen projection offers both good visibility and the acoustics for the viewer audience. 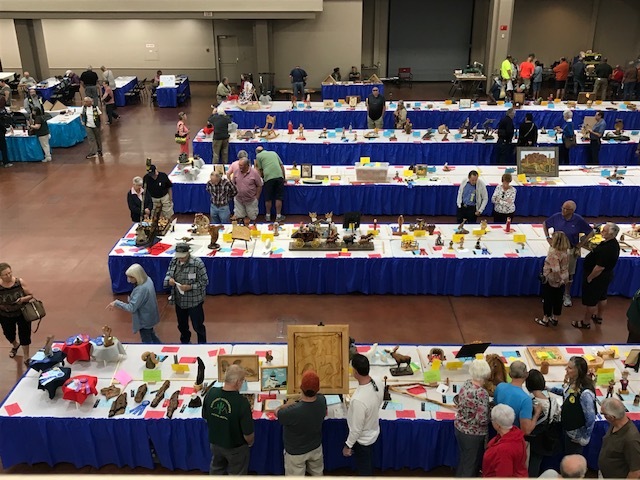 We had a record number of carvers entering the Whittling Contest led by Jerry Berg from the Southwest Woodcarvers in Tucson AZ. 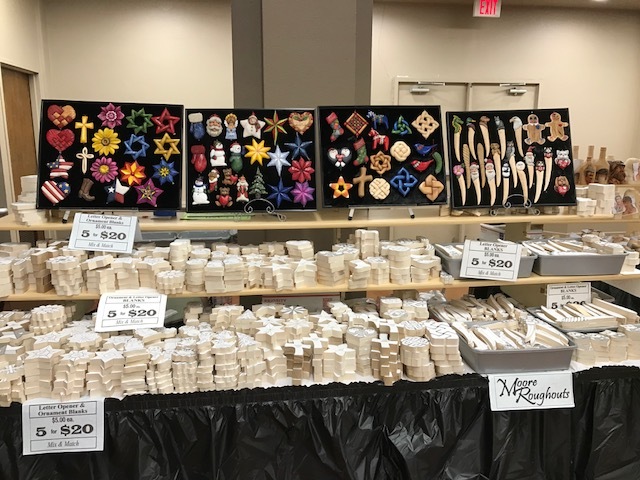 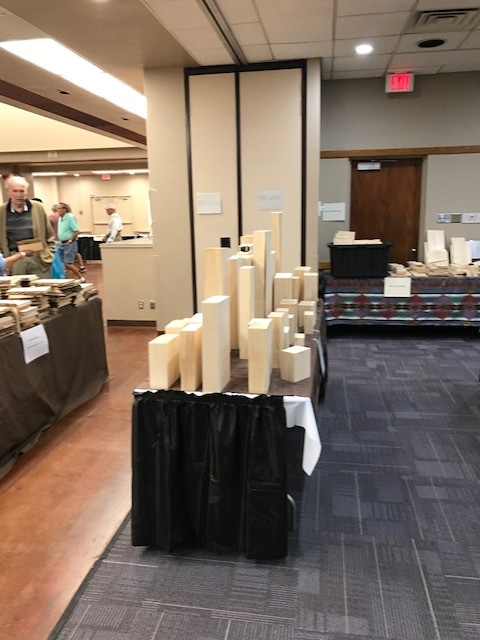 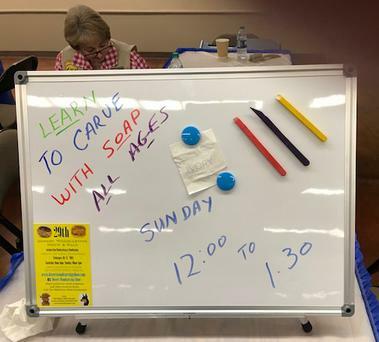 Our thanks go to Steve Cullen, Dorothy Patton, and Jerry Chapman from the Arizona Woodcarvers Association who took charge of the youth soap-carving and found that many adults were interested in participating in carving soap! 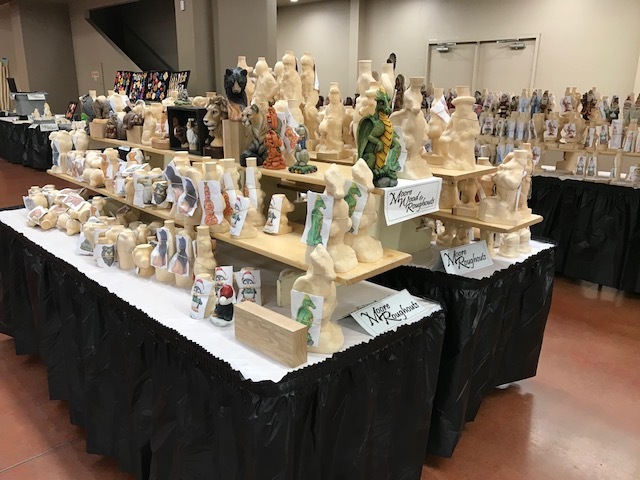 George Pongracz, our Featured Artist this year, has been a mainstay for the local clubs for the past several years as well as one of our favorite suppliers of small starter carving projects. 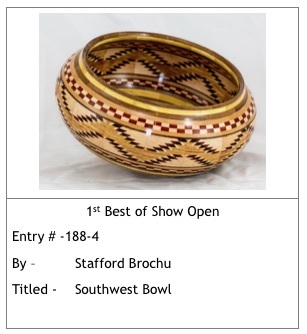 We’re looking forward to next year’s show on February 9-11, 2018. 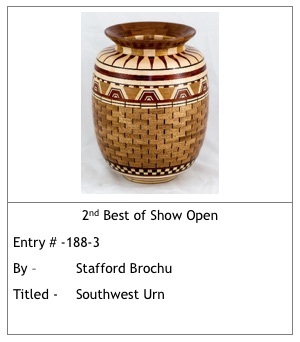 Due to its success the show committee has decided to continue the Silent Auction. 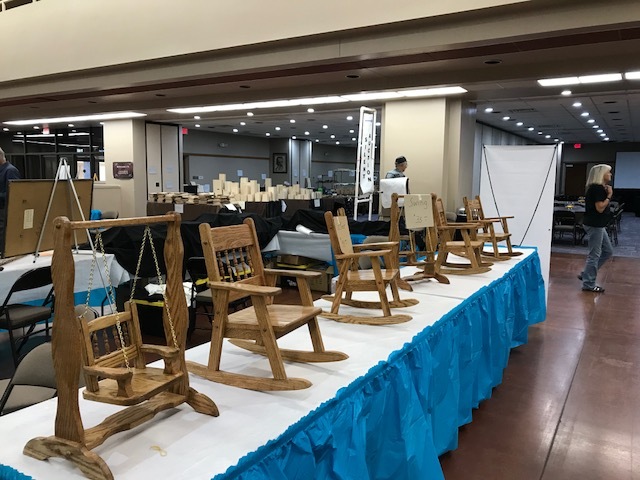 In 2018 Debbie Edwards will be returning as Chief Judge and will be joined by Bob Travis and Josh Guge. 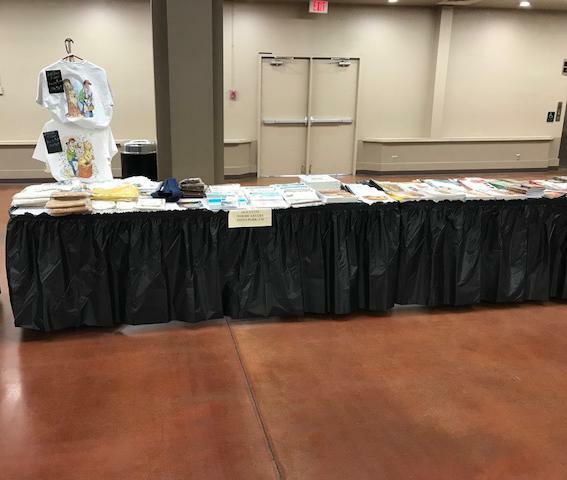 Debbie and Josh will also be leading seminars the week before or after the show. 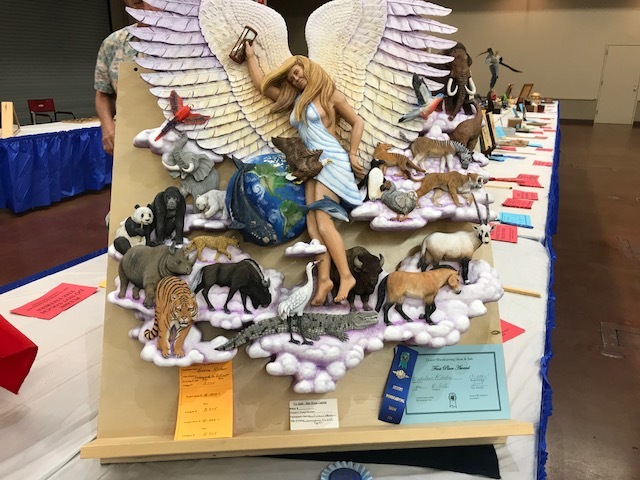 For more information on the judges, seminars, competition categories and rules please see the competition section of the Desertwoodcarvingshow.com web site. 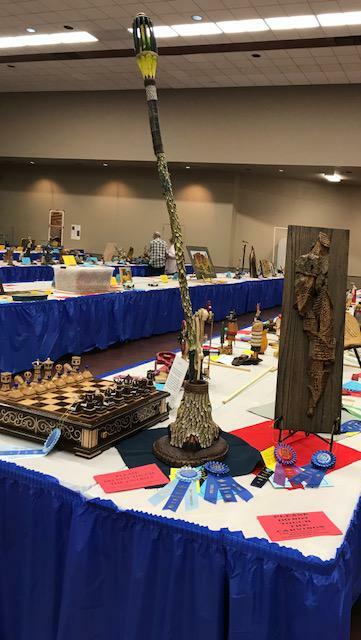 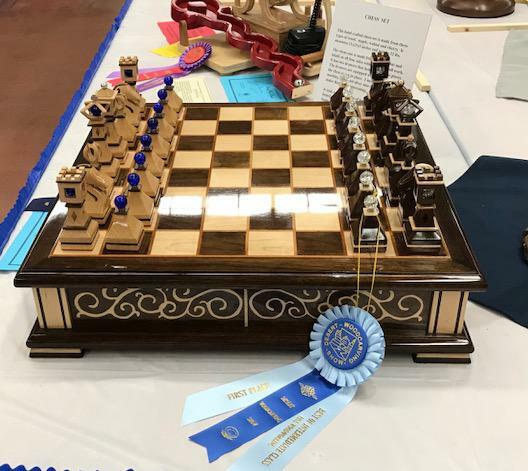 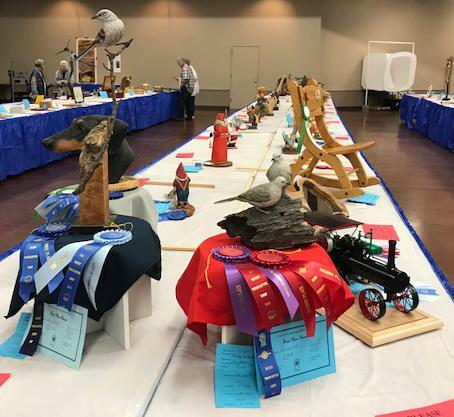 While we like to think everyone who participated in the 2017 Desert Woodcarving Show. 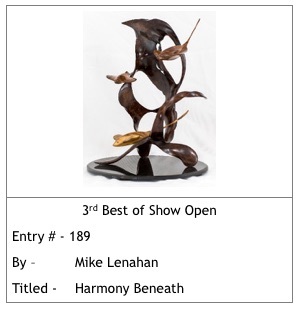 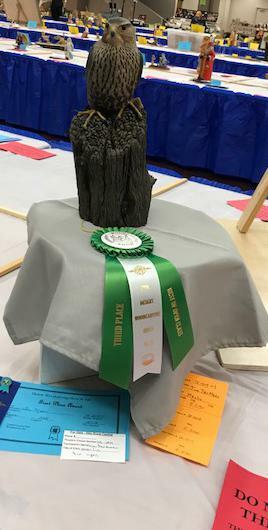 A complete listing of the carving and fine woodworking winners is listed on the show web site desertwoodcarvingshow.com. 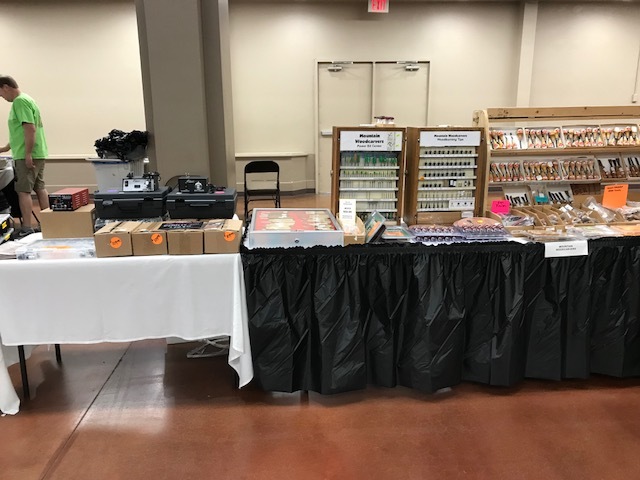 We really want to thank our vendors who provide tools and supplies. 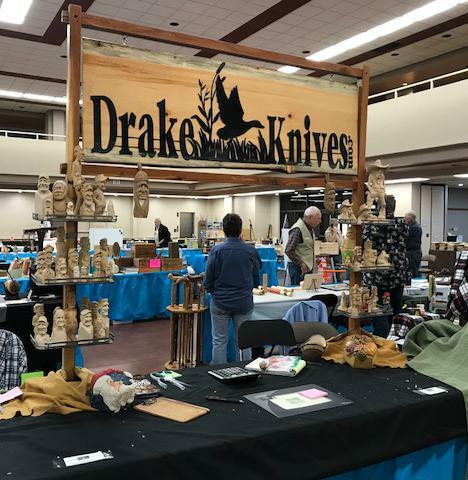 Please support them, they sure support the show. 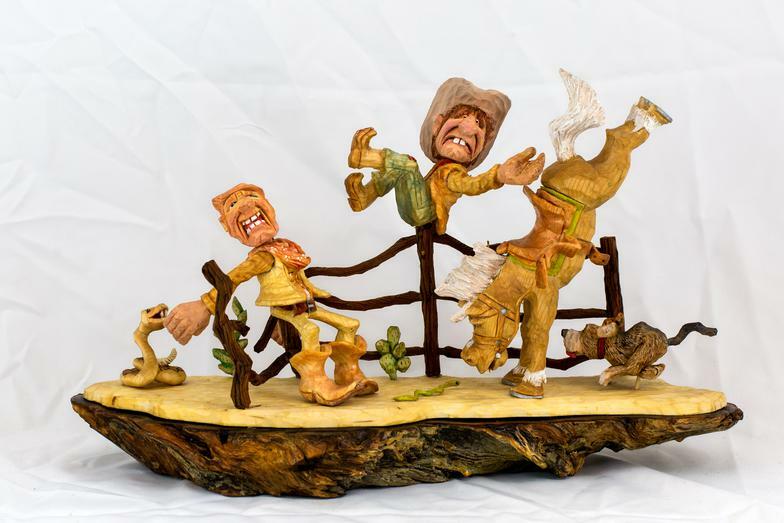 Woodcraft booth is carving "Jimmy The Carpenter"
Adv/E Caricature 2 218-1 Jerome Berg Take that Back! 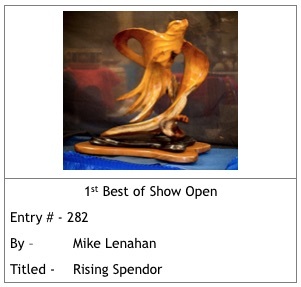 Adv/G Fish 2 192-1 Butch Wright "Musky"